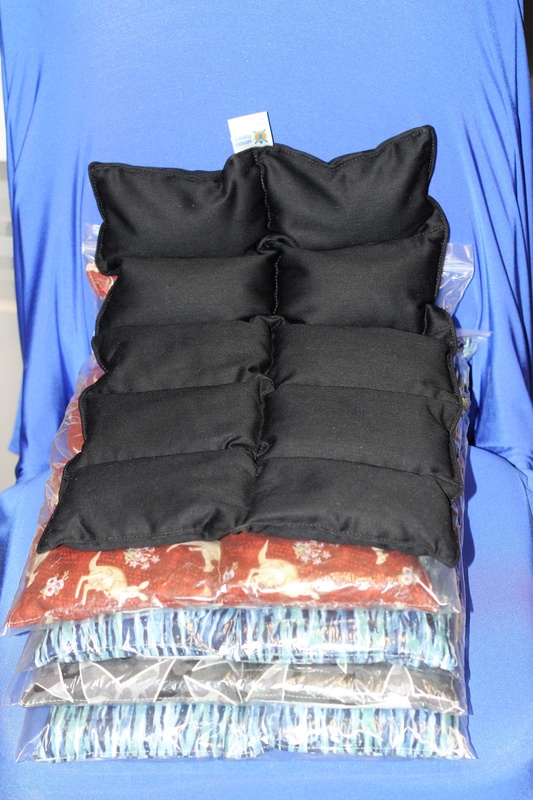 These weighted lap bags are used in many home, clinical, school and work environments for those living with (but not limited to): Sensory Processing Disorder, Autism, ADHD, ADD, Anxiety and Restless Leg Syndrome. They can be very helpful for the child who is unable to sit still in their chair, constantly fidgeting/squirming as they are seated, easily distracted, unable to focus on the task they have been set or to sit quietly and listen to the subject being discussed. Deep Pressure Touch Stimulation (DPTS) can stimulate the release of serotonin in the brain, in turn helping children and adults to be calm, relaxed, concentrate on a task and moderate their sensory input. In a practical sense, Weighted Lap Bags can be placed on the child/adults lap at times when they are required to focus on a task and/or for a longer time than they can generally tolerate. For example; sitting at a restaurant, during seated classroom activities, doing their homework on a computer, travelling on public transport/car as well as in the workplace or home computer for adults. They may also be used as part of a 'Sensory Diet' as prescribed by an Occupational Therapist at times for the child to self regulate their sensory input if they are over stimulated and need to calm down before attempting a task which requires focus (ie: coming in from outside, running in the playground to sitting at a table and chair listening quietly to the teacher). They are filled with your choice of non-toxic Poly Pellets (the same that are used in some teddy bears and soft toys) or Stainless Steel pellets. The pellets are separated into sections to ensure balanced weight distribution. The shape of these Weighted Lap Bags allows them 'mould' to the shape of a child's legs in the seated position, and not too large that gravity causes them to fall off the front of the user's legs.